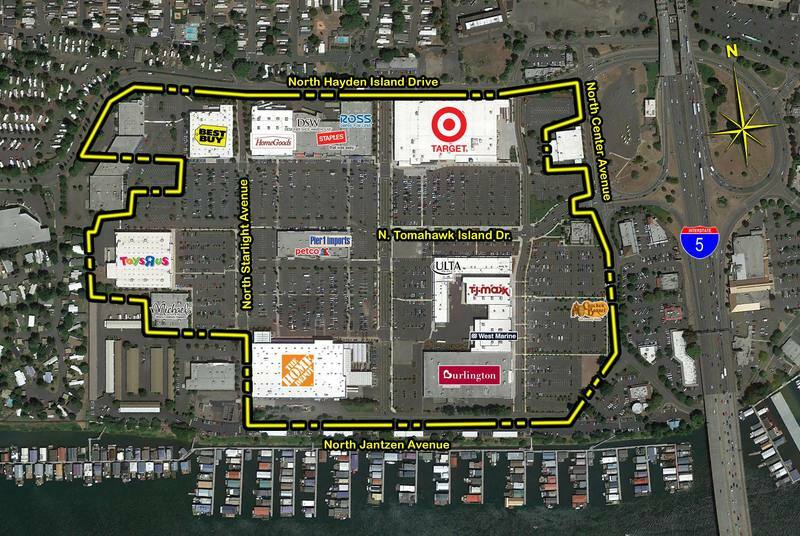 Kimco Realty Corp. has paid $131.8 million for the Jantzen Beach Shopping Center, the dominant commercial entity on Hayden Island, which draws some 10,000 people daily. 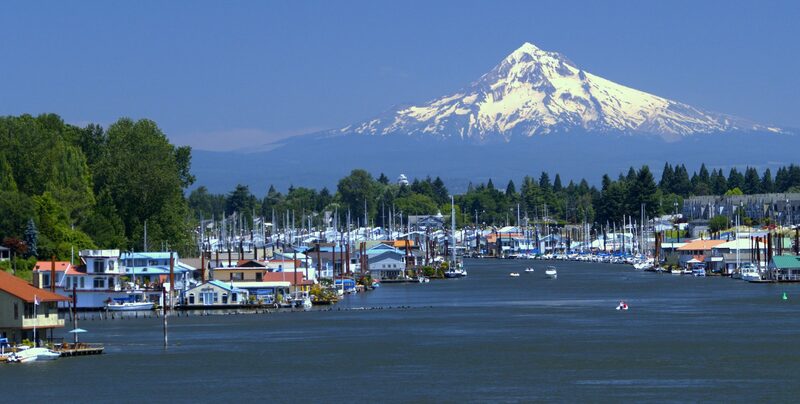 The 758,000-square-foot Jantzen Beach Shopping Center, built in 1972, houses Best Buy, Target, Home Depot, Petco, Ross, TJ Max, Burlington Coat Factory, West Marine, Michaels, Stanford’s Restaurant , and (opening soon) a Cracker Barrel restaurant, among many other businesses. Before the mall opened, from 1928 into the 1960s, the Jantzen Beach Amusement Park was frequented by up to 725,000 people annually. The Amusement Park, now long gone, featured the Big Dipper Roller Coaster, a C.W. Parker Carousel, Ferris Wheel, thrill rides, midget auto racing, a small railway and a swimming pool. The 1948 flood damaged some structures and the park started losing its patrons in the 1950s. The highway expansion in 1958 took out a large portion of the park and a fire led to even more financial problems. On Labor Day, 1970, the park closed its doors permanently to make way for the Jantzen Beach shopping center which opened in 1972. Many people wondered what happened to the 1921 C.W. Parker carousel, a signature attraction at the Mall for decades. 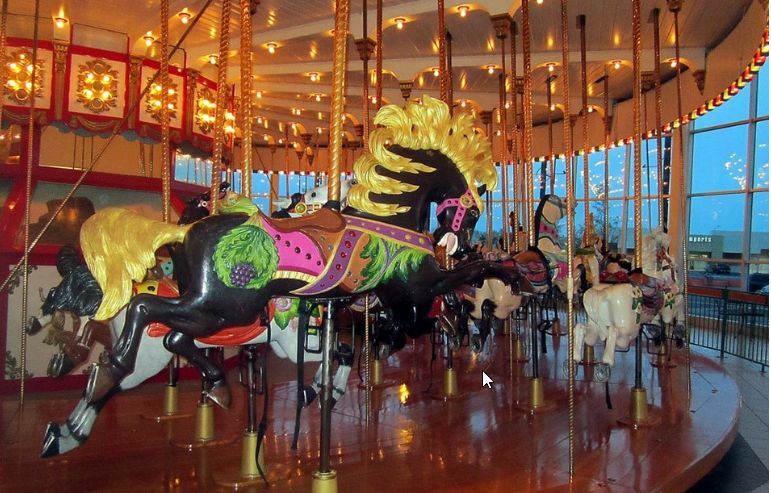 The carousel was reportedly put into storage (somewhere) on the island after the last remodel of the shopping center…but its location and condition were a secret. 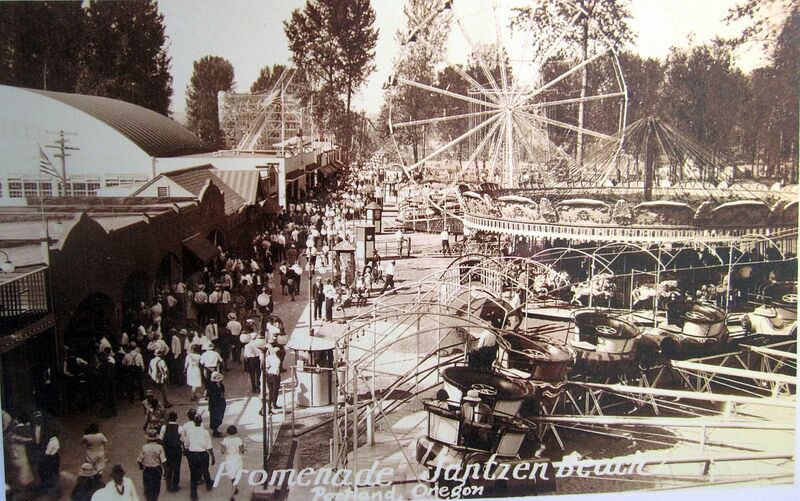 The Jantzen Beach Amusement Park opened on May 26, 1928, promoted as the largest amusement park in the nation. The park sprawled over 123 acres, notes PdxHistory with the C.W. Parker Carousel and the Big Dipper roller coaster major attractions. The Oregonian has a pictorial history of the Jantzen Beach Amusement Park. 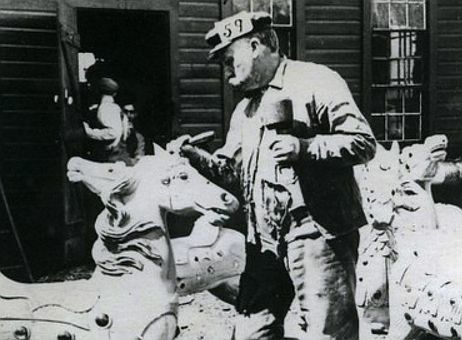 The golden age of the carousel in America was the early 20th century, with large machines and elaborate animals, chariots, and decorations being built. In the 1960s, attendance dipped at the amusement park and it was closed permanently in 1970. The park was razed in 1970 to make room for the new Jantzen Beach Shopping Center, which opened in 1972. The original Jantzen Beach Mall kept only one relic of its former days: its 1921 C.W. Parker carousel. The Jantzen Beach Carousel has been a fixture of Hayden Island since the opening of Jantzen Beach Amusement Park in 1928. It was built in 1921 by the C.W. Parker Amusement Company, the “American Amusement King”. 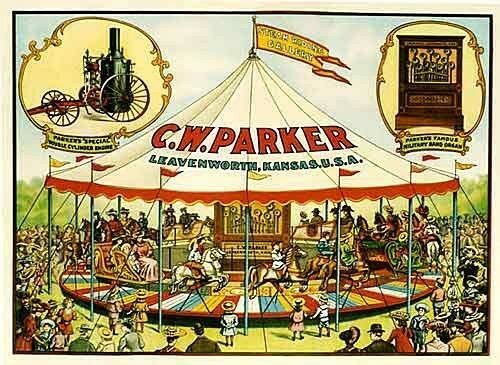 C. W. Parker built five large extravagant “park” machines. Only one of those five is still left, the Jantzen Beach Carousel. The 72 horse, four row carousel is said to be lit by 1,350 lights with 286 mirrors. The base is a large 67-foot diameter that can travel up to ten miles an hour on the outside steeds, making it the largest and fastest ride still in operation. Commissioner Fish asked his office to look into the whereabouts of the merry-go-round, reports the Oregonian in June, 2015. A member of his office called Edens, the South Carolina-based mall owner, and the company told them the carousel was right where it should be: in a camera-monitored, climate-controlled building at the Jantzen Beach shopping center. They were told the carousel is intact. BREAKING NEWS (9/7/17): THE CAROUSEL HAS BEEN FOUND !!! 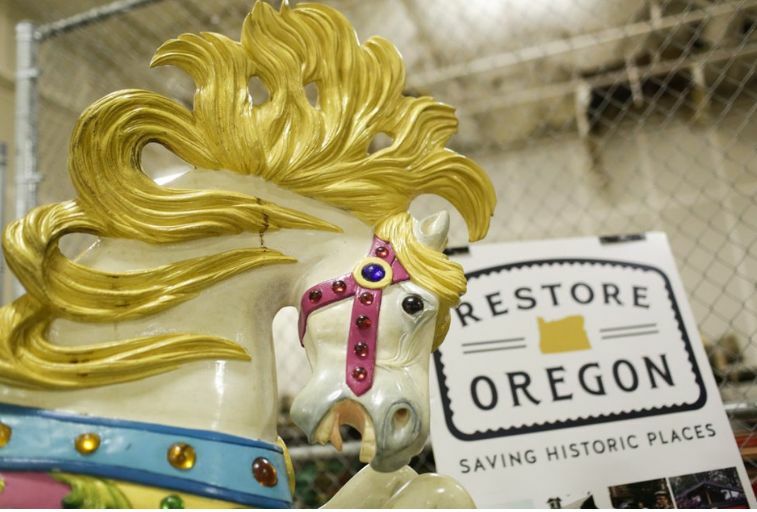 The previous mall owner, Edens has donated the carousel to Portland nonprofit Restore Oregon, so it will soon have a new home in the Portland area. 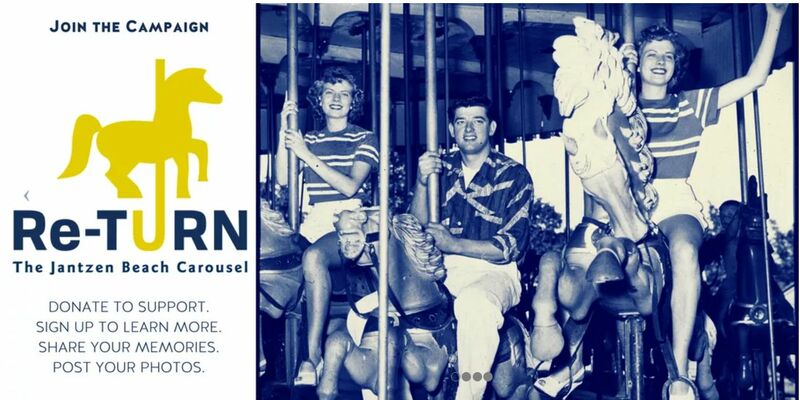 Restore Oregon put together this timeline of the carousel.